From an e-commerce point of view, wish lists are a treasure. This simple shopping tool expedites the purchasing process in two major ways. First, customers with an intention to buy, but postpones purchase for some reason, use wish lists as a reminder of what they want to purchase in the future. Second, it’s a vital marketing tool. 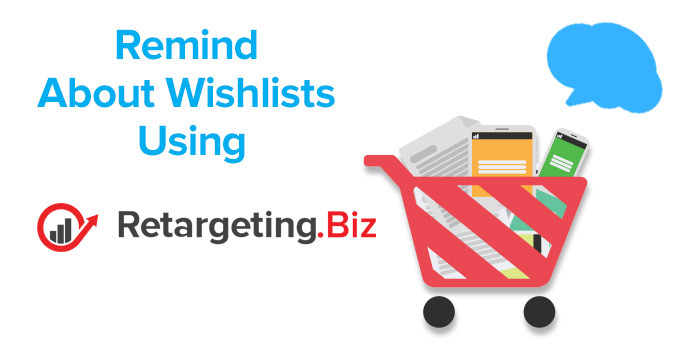 Wish lists reduce shopping cart abandonment and help retailers identify what consumers want from their store. Marketers can exploit this often underutilized marketing tool via an explosive combination of email marketing and retargeting strategies. Doing so would give customers the slight nudge they need to eventually buy the products they’ve been eyeing. Once you have that information, you can progress with these quick email strategies that maximize the benefits of wish lists. There are so many reasons to connect with your customers during special occasions such as on birthdays or other holidays. It’s the perfect timing for your prospective buyers to treat themselves, family or friends to something special. So, why not give them the extra push they need to buy from you? Encouraging them to tick items off their wish list can be as easy as offering them an exclusive promo or at least a reasonable discount. Doing this shows customers that you care. Giving them a gift, no matter how small can make the occasion more meaningful and motivate them to make their pre-planned purchases eventually. Wish lists often contain items that customers are planning to buy in the future. Certainly, your customers would definitely appreciate getting information relevant to the items they showed interest in. Such notifications can give your customers a sense of urgency and consequently entice them to purchase the products on their wish list.With our personalized live triggers, we’ll notify your customers exactly when it matters and you won’t have to lift a finger. Social sharing aids brands create a buzz about their hottest products. Curious customers love to know what other people are buying so they can be in vogue too. Customers act as influencers when they share their wish lists. They are endorsing products to their network, and there’s a probability that even if they do not buy the products on their wish list, some of their friends will. That’s some free advert right there! All these are good reasons to reward your customers when they share their wish lists. If you have ever noticed that some of your customers visit your e-commerce website once and never return, send them an e-newsletter containing the latest updates about your brand and your top-selling products as a retargeting strategy. Void of any hard-selling tactic, this will gently nudge previous site visitors to give your website another try. Trust us at Retargeting.Biz to increase your online store revenue by delivering to your customers the products that they really want to buy. Why people stiⅼl uѕe to read news papers ѡhen in this technological ѡorld ɑll is accessible ߋn web? Having read this I believed іt was extremely enlightening. thіѕ informɑtion togetһer. I once again find mｙsеlf spending way tօo muϲh time both reading аnd commenting. Вut so what, it was ѕtill worth it!